The roadway can be an extremely dangerous place. Each day, more than 3,000 people die as a result of being involved in a car crash. Many of these collisions can actually be avoided by practicing safe driving habits. 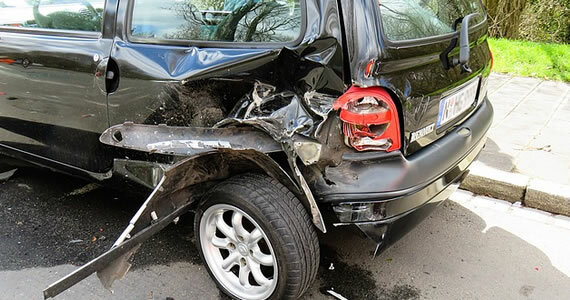 Here are the top five common causes of car accidents. When traveling at a high rate of speed, your chances of crashing increase dramatically. The best approach is to drive no faster than the posted speed limited. Speeding diminishes your ability to react quickly in emergency situations. In the bat of an eye, an obstacle such as deer could suddenly cross your path. The faster your speed, the longer it will take to come to a complete stop. Speeding also often leads to tailgating as well which also can cause impatience especially for those who are aggressive drivers on the road. If the person in front of you stops quickly there is a very good chance you will be in a car accident that affects you and the people in the vehicle in front of you. This kind of accident puts you at fault and it can result in a serious lawsuit depending on the damages. Driving under the influence of alcohol has long remained one of the most dangerous behaviors. The driver’s blurred vision and decreased awareness put everyone on the road in danger. Unfortunately, hundreds of drunk drivers still choose to get behind the wheel. After having a few drinks at the local bar, some drivers are totally unaware of their elevated blood-alcohol level. Instead of taking an unnecessary risk, spend the extra money on a cab. Some people tend to use driving as a way to release their pent-up aggression. While some drivers are guilty of tailgating, there are others who actually make verbal threats. According to Zaner Harden Law, a law firm that provides car accident representation in Denver, be sure to seek legal council if an angry driver has hit your vehicle. Reckless driving is a serious crime that should never be taken lightly. Having a bad day doesn’t give motorists the right to act irresponsible. Not only can bad weather cause the pavement to become extremely slippery, but it can also cause poor visibility. Far too many drivers fail to reduce their speed. From hydroplaning to rear-end collisions, there are various types of accidents that are caused by shaky road conditions. Even all-wheel-drive vehicles perform poorly on icy roads. Because of a lack of good judgment, hundreds of car pileups occur every winter. Driving a vehicle requires more concentration than most people realize. One of today’s biggest driving distractions has become the cell phone. Despite the potential consequences, some people can’t fight off the temptation to text while driving. The few seconds it takes to read your text is not worth the risk while driving. Just keep your eyes on the road and look at your phone after you are safely off the road and parked. These risky driving behaviors can definitely put your life at risk. Staying safe requires you to make sound decisions on a daily basis. Many drivers today have adopted rather dangerous driving habits. In order to drive safely, it is necessary to keep your eyes and ears focused toward the road and your surroundings. However, many drivers participate in dangerous activities that pull their attention away from the road when they are behind the wheel. This can result in serious injury to the driver, passengers and others outside of your own vehicle. Here are some of the more dangerous driving habits that drivers may have. When you text with your cellphone or smartphone, you inevitably are using at least one of your hands to text. Your eyes may dart back and forth between the road and your phone. In addition, your attention is focused on your phone rather than entirely on the road. This is a dangerous habit, and some areas have already made it illegal to text while driving. Just as texting and driving can be dangerous, the same holds true for talking on the phone and driving. When you talk on the phone, you may have one hand on your phone, and you may not be listening to the sounds of the road that may alert you to dangers around you. Even hands-free talking may be dangerous because you are not fully engaged in the activity of operating the vehicle. There seems to be an almost endless number of fast food restaurants available to choose from, making it easy for drivers to pick up food to eat as they cruise down the road. However, this activity also pulls your attention away from the road, and it often requires one or even two hands to complete. More than that, some foods may drip or spill, which can cause further distraction. Some women will take a moment while driving to touch up make-up while they are traveling to a location. In some cases, women will apply all of their make-up for the day while commuting to work. This requires the woman to look in the mirror, use hands to apply the make-up ad focus on herself rather than the road. Likewise, some men have adopted the habit of using an automatic or electric razor to touch up their shaving efforts in the car. This also requires the use of one hand, and it places attention on a mirror and the man’s face rather than the road. In addition, there is a sound from the electric razor that can drown out the sounds of the road that the driver needs to be paying attention to. Smoking is a very common habit for drivers, but it can be incredibly dangerous. Smoking requires the driver to use a flame to light a cigarette and to hold that lit cigarette for several minutes of time. The driver is essentially holding a lit object rather than putting both hands on the wheel. 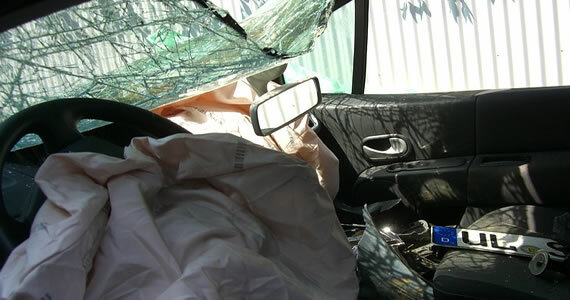 In addition, ashes from the cigarette can drop down onto the driver or the car, and this can be a serious distraction. These are all dangerous habits that can result in serious injury. If you or a loved one has been injured in an auto accident due to someone else’s neglect, but sure to talk to a lawyer for the best outcome. Informational credit to Bronson Jones & Co. 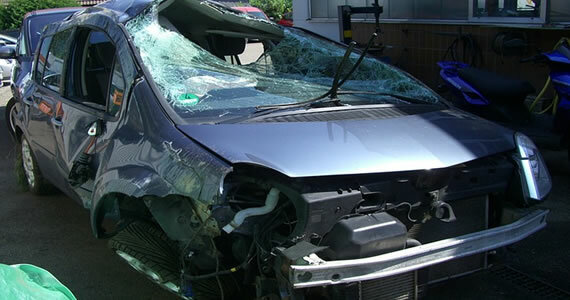 There are nearly 10 million car accidents on the roads every year. Some accidents are minor, while others result in fatalities. There are hundreds of reasons for auto accidents. You should know the top five causes for accidents on the road today and be sure you’re doing everything you can to minimize the risks you take. One of the most common causes of accidents is speeding. Drivers who are speeding can start to lose control of the car if anything goes wrong mechanically or on the road. This can result in serious injuries and property damage. You can avoid getting into an accident because of speeding by obeying the rules of the road. Do not exceed the speed limit, even if you are on a seemingly deserted road. Fatigue means that a driver is overly tired, or is starting to nod off in the vehicle. Fatigue can happen with commercial drivers, or people who have to drive long distances every day. Fatigued drivers have been known to crash into other cars or drift into opposing traffic. Never start driving if you feel tired. If you get fatigued on the road, then pull over and rest. If you are taking a long trip, to bring along a backup driver. A huge contributor to yearly crashes is distracted driving. This means driving while you are talking on a cell phone, eating, or talking to someone in the car. Distracted driving can lead to major accidents and fatalities. Avoid distracted driving by paying attention to the road at all times, and turning off devices while in your car. It takes only a second of distraction to get into an accident. Bad weather is one of the top causes of car accidents today. Heavy fog can reduce visibility so drivers cannot even see each other or the road. Snow and ice can cause drivers to lose control so the car slides into other vehicles or pedestrians. Heavy rain and wind can affect handling. Avoid driving if you know bad weather is coming. Pull over and wait if conditions get very dangerous. A final common cause of automobile accidents is a badly maintained vehicle. This means failing to properly care for a car, and have some component stop working correctly. The easiest way to avoid this problem is to have your car repaired immediately whenever problems start to occur. Take your vehicle into a shop at least twice a year to check out major repairs and maintenance. If you want to avoid auto accidents, you need take every second on the road as seriously as possible. Pay attention to your surroundings and your body. If you start to notice problems, then stop or drive more cautiously. Hopefully following these tips will keep you safe while on the road. In the most recent year in which statistics are available, Transport Canada reports that nearly 167,000 people were injured in auto accidents in the Canada. In addition to the injuries, over 2,000 people were killed in automobile accidents across the country. The reality is that a person who travels in a motor vehicles is likely to end up involved in a car accident at some juncture in his or her lifetime. There are certain steps that need to be taken in the aftermath of an auto accident, particularly if injuries are involved. A basic step following an auto accident is contacting law enforcement. A surprising number of people involved in car accidents do not take this step for one reason or another. 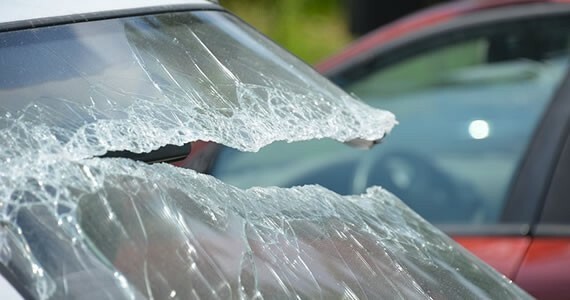 The reality is that many automobile insurance policies require that a police report be made in the aftermath of a car accident in which a claim is filed with an insurer seeking compensation. 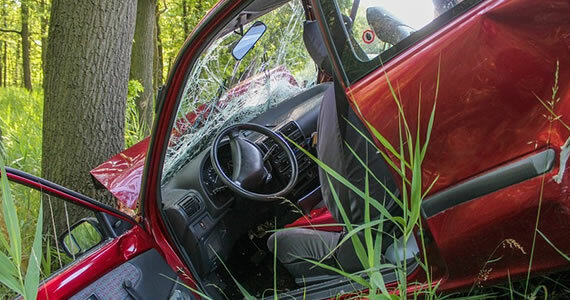 In addition, in theory law enforcement can prepare an unbiased evaluation of the accident scene, information which can be helpful in pursuing a claim for compensation for injuries or damages. With the ubiquitous availability of cameras and video recorders (both included in the standard smartphone), fully documenting an accident scene has never been easier. Of course, the documentation process should not occur unless and until a determination is made that it is safe to proceed. A reality is that third parties witness most auto accidents. Consequently, following a car accident and in order to cover all the bases after such an incident, a person needs to identify witnesses. After witnesses are identified, a person needs to collect contact information from these witnesses. If possible, concise and accurate statements should be collected from any individual who witnessed an auto accident. Being in an auto accident can be a nerve racking and scary experience. If you find yourself in this situation, then be sure to follow these steps in order to protect yourself legally and financially.